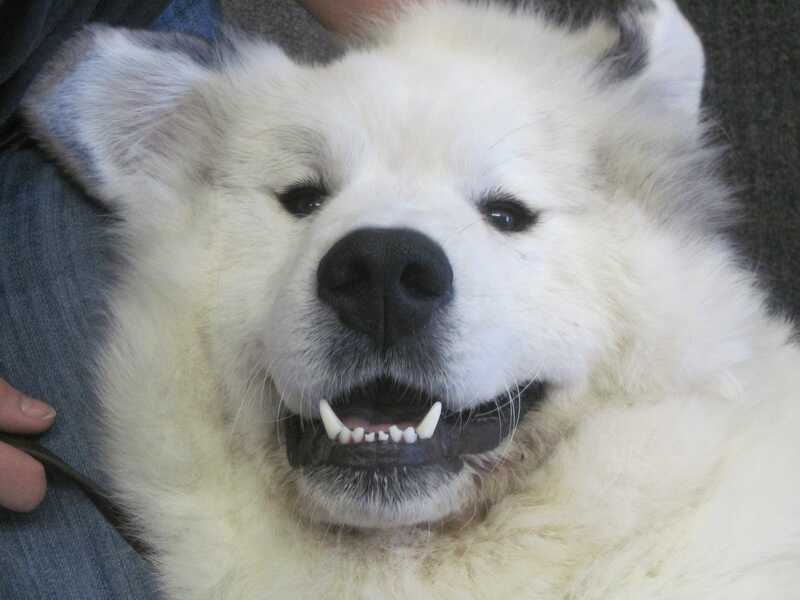 Pyrenean Mountain Dog wallpapers for your PC, Android Device, Iphone or Tablet PC. 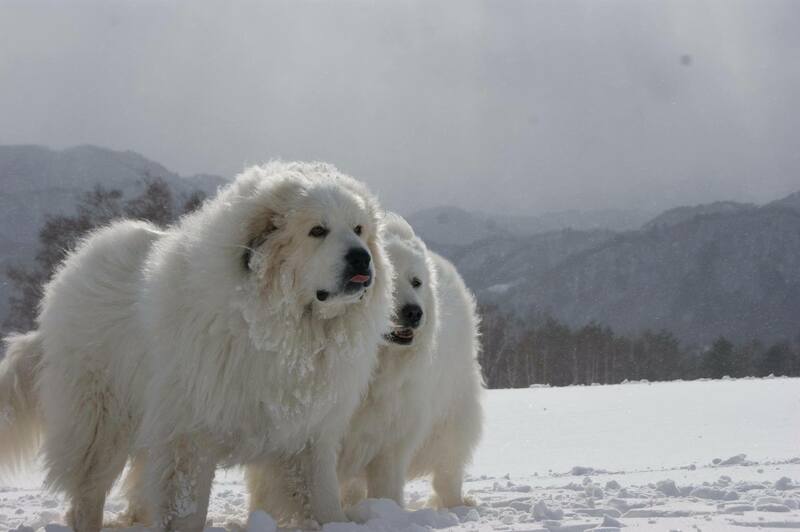 If you want to download Pyrenean Mountain Dog High Quality wallpapers for your desktop, please download this wallpapers above and click «set as desktop background». You can share this wallpaper in social networks, we will be very grateful to you. 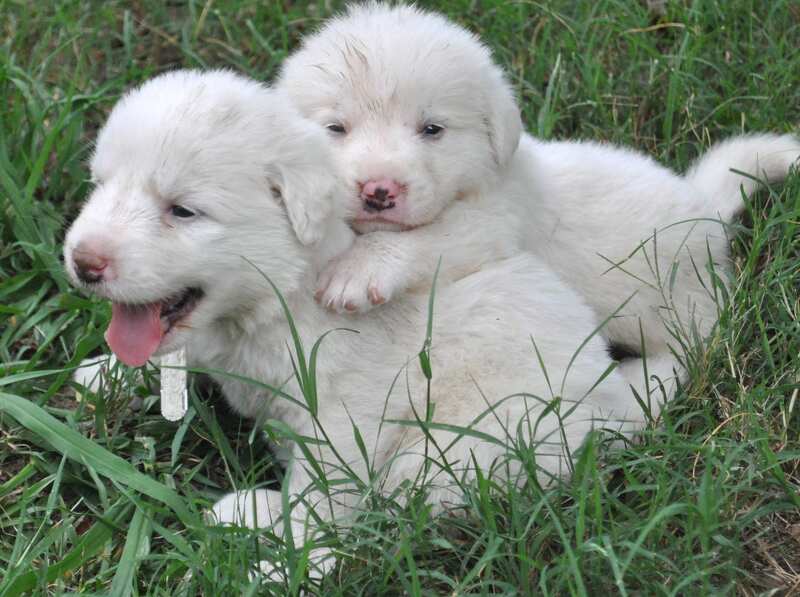 It is impossible not to fall in love, even for photos at a glance in the Pyrenees mountain dog. This luxurious white beauty with all the signs of nobility and courage, excellent physical properties and excellent character. 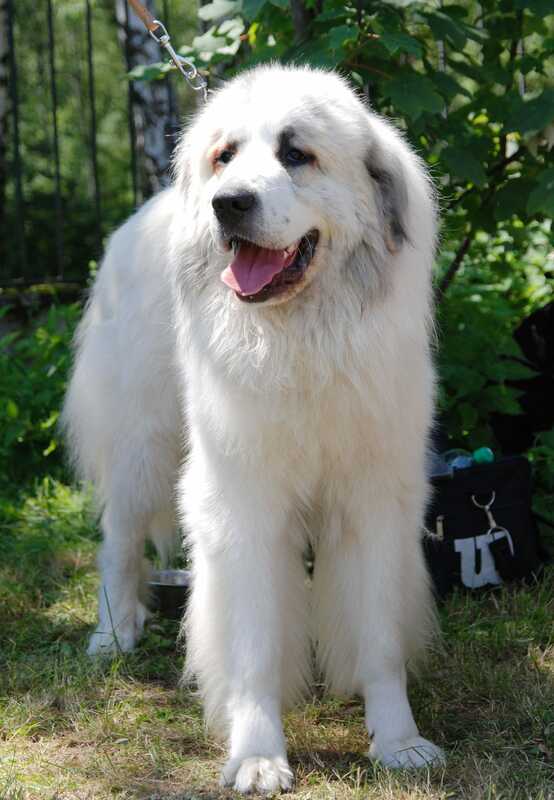 It has established itself perfectly for thousands of years, so it enjoys a great popularity among breeders of big dogs. So what is this is pretty huge creature with expressive almond-shaped eyes that are so thoughtfully and intelligently look at the man. 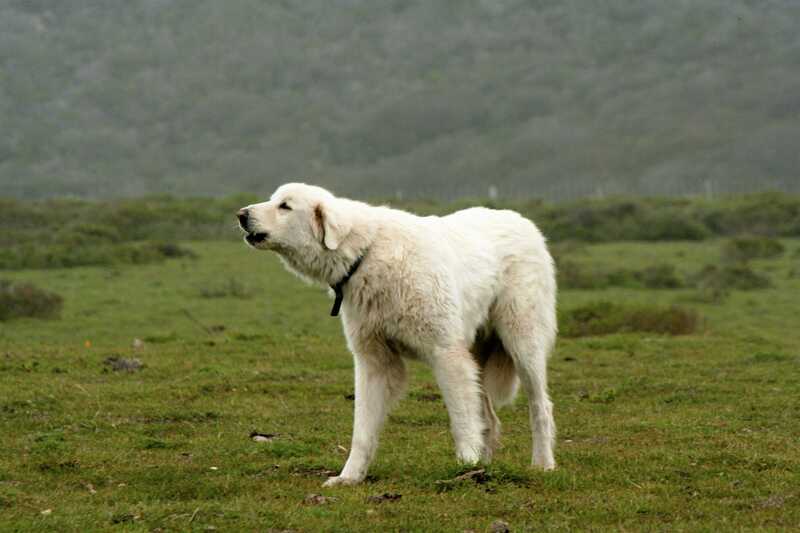 High on the slopes of the Pyrenees thousands of years ago there were the amazing beauty of the white dog, who helped feed the flock. They were not afraid of meeting with the big predators, as the guards themselves had quite an impressive sight. The dog came out boldly against the wolves, was not afraid to fight back the bear, who decided to get close to the herd. Mountain Shepherd showed a distinctive feature – a loud voice that always frightened predator and attracted the attention of the dog owner. Already in the Middle Ages, the breed was used for the protection of the locks, and later became a partner in wealthy families and moved to live in the grasslands of the royal palaces. We know from historical sources that this breed has become very popular, hitting the courtyard of Louis XIV. In the annals preserved no less interesting legend about the life of Charles VI, too, was saved by the presence beside him Pyrenees mountain dog when he was attacked by a bull. 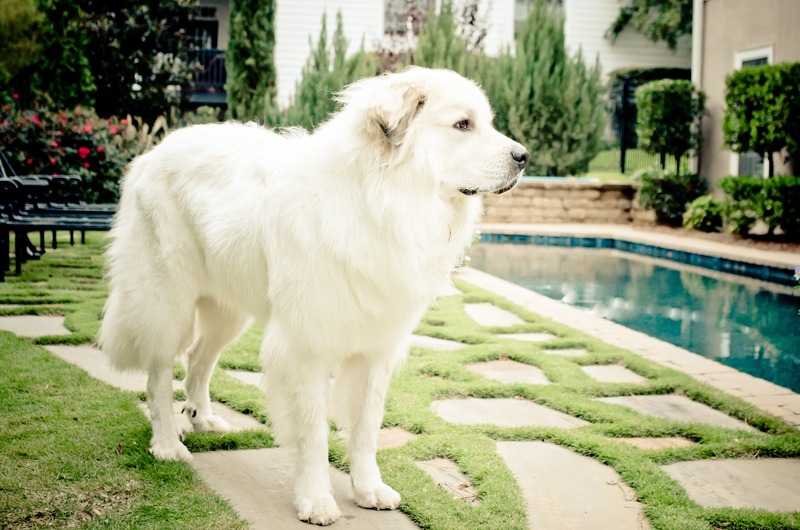 Great Pyrenees dog – an animal graceful and regal. Her appearance immediately suggests that it is not only beautiful, but also insatiable hard worker. Strong harmonious addition allowed her to conquer the slopes of the Pyrenees in the protection of sheep herds and remarkable beauty and subtle mind makes today a great companion in the house. 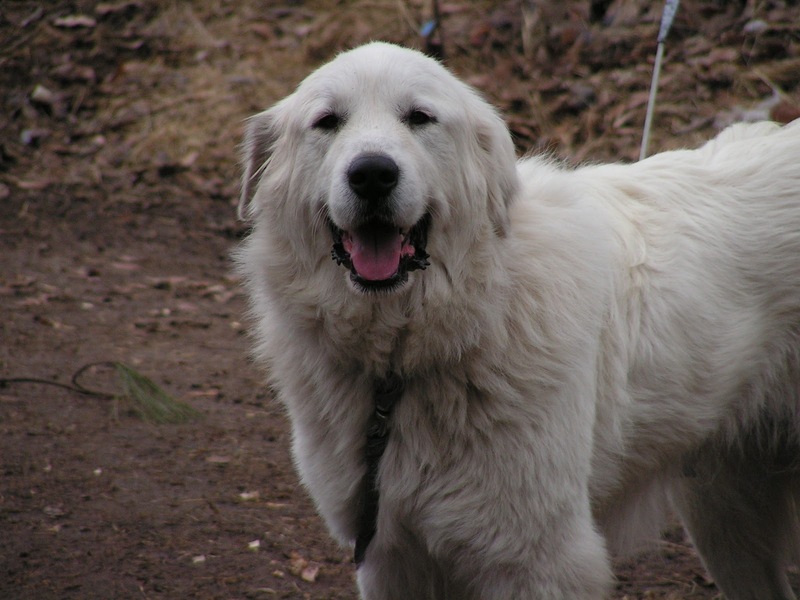 Coat color in Pyrenean Mastiff predominantly white. Sometimes it noticeable slight gray or fawn markings. 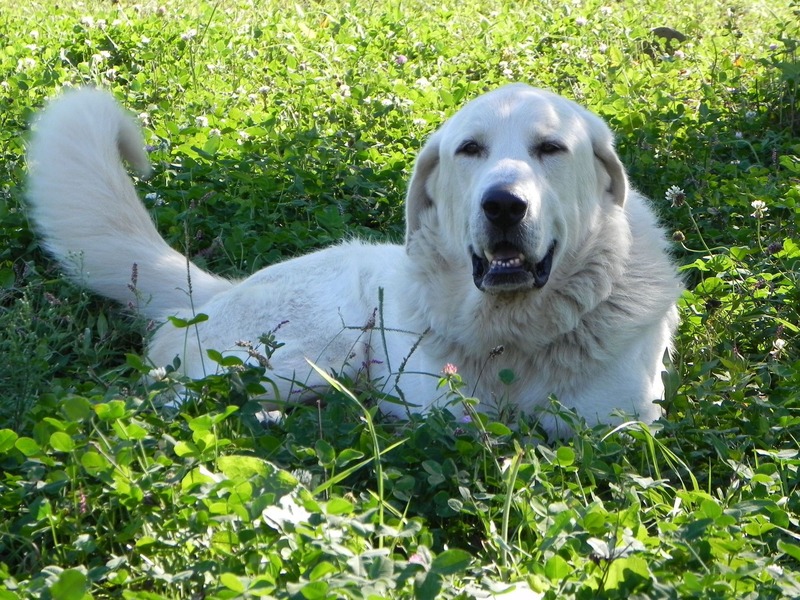 The format of the body in the Pyrenees breed dog bit stretched. Height at them is 65 – 80 cm rib cage in an animal elastic, moderately broad.. A large body only once more emphasizes that this powerful breed created for the work that it has to provide people, who decided to take the house so much beauty. Unusually beautiful is a dog muzzle. It is not very large for such a large body, so looks regal noble. Smart expression of amber-brown eyes, and the correct form of the skull is extremely important for the breed. Against the background of white wool stands out completely black nose. At the level of the eye line hanging ears are small with rounded edges. It should be a dog just for something to listen, as the ears begin to rise slowly. Dog jewelry is a long white tail in the shape of the Sultan, covered with dense hair. When the animal is relaxed, the tail hangs down. Should the dog only to strain, to show something of interest, like the tail immediately rises to the back and bent to the waist, forming a wheel. 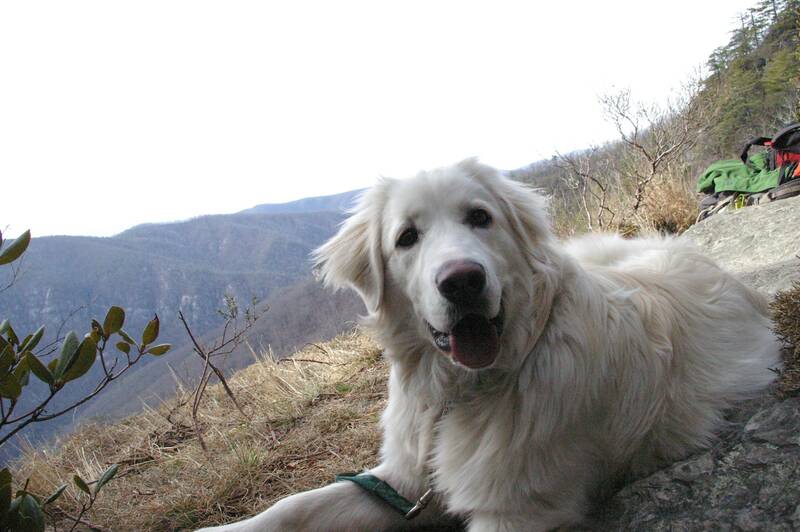 Most Pyrenean mountain dog loves open spaces. City apartment for her seems a place of confinement. She was not happy here either delicious food or a good attitude of the hosts. It is designed for a life outside the walls of city apartments. How huge white creature is transformed when ingested into the country. It becomes mischievous, cheerful, natural. This once again provides that afford such a luxury can be only those who have their own home with a large yard. 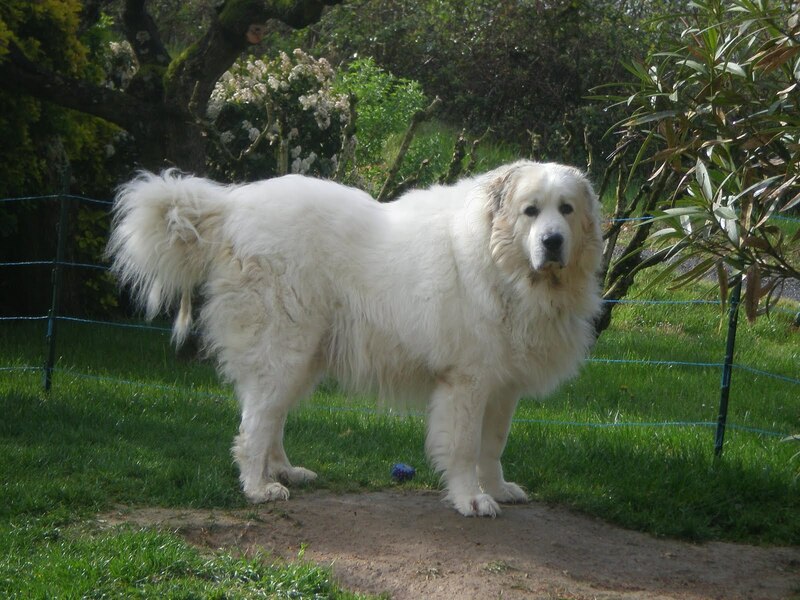 Pyrenean mountain dog who exercise have better health, characterized by excellent character and are prone to more easy-going conversation with the owners. Do not be surprised if one day your pet away from the yard. The fence was low, and the dog decided to go wandering. Perhaps she will be back soon, if someone does not entice her to him. Grasp the first time to train a dog, it seems that it never nothing good happens. Smart eyes looking at the owner and everyone understands, but does not try to pet execute commands. It affects its mountainous character, which is a kind. Her ardent mind and outstanding abilities controlled by pride and independence. If the owner or trainer will be for dogs unshakeable authority, she will quickly learn all the commands. 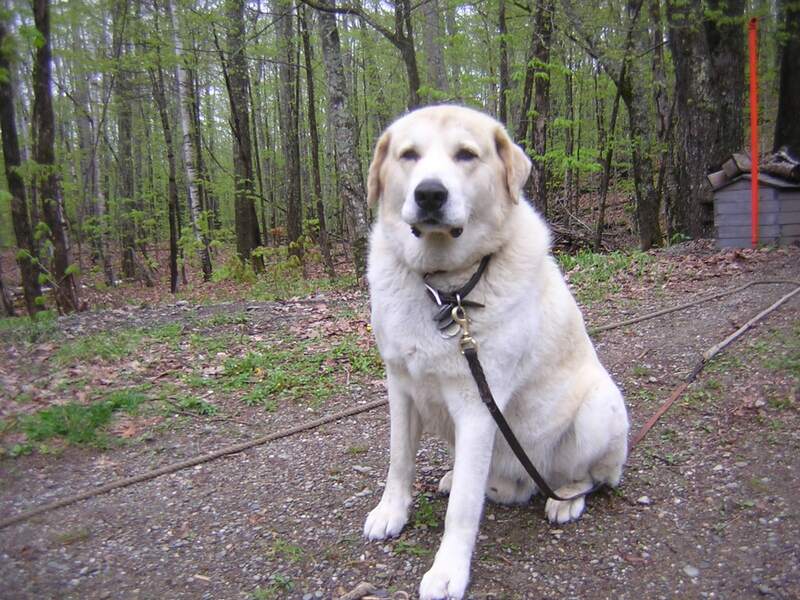 When a person does not show character Pyrenean Mastiff become restive and unmanageable. 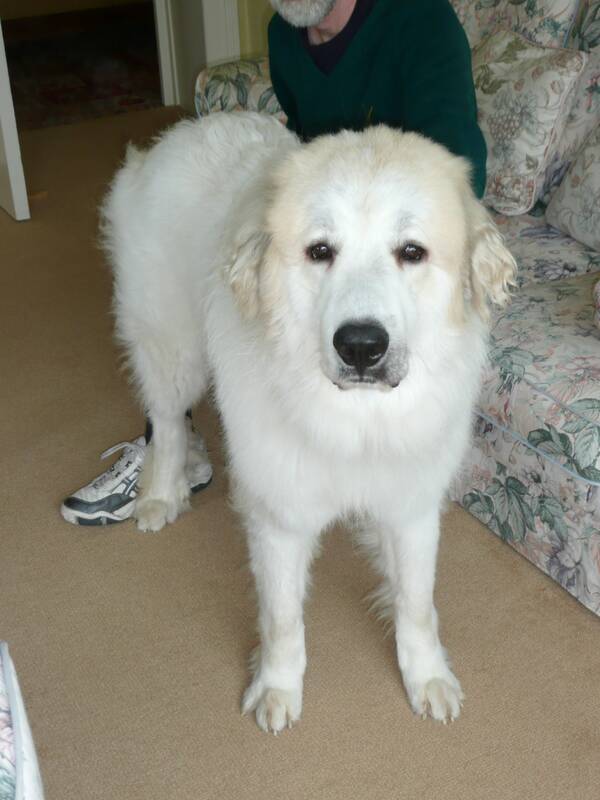 With home Pyrenean Mastiff, have to know how to care for such a large creature. Immediately struck by its thick fur, which complements also the same chic undercoat. This protector dogs, accustomed to living in the mountains. Rich coat saves the animal from the cold, it does not allow to be cold rain. Caring for the hair such simple. Once a week it is necessary to comb. During molting, it is desirable to comb out the dead hairs every day, and sometimes twice a day. Many breeders are afraid to take the dog with the white-haired, as her need to constantly take care to save from pollution. Nothing like that does not require a Pyrenean mountain dog. It is extremely accurate, so care will be effortless. Dog lets you wipe is contaminated during the wet walking areas wool mitten. 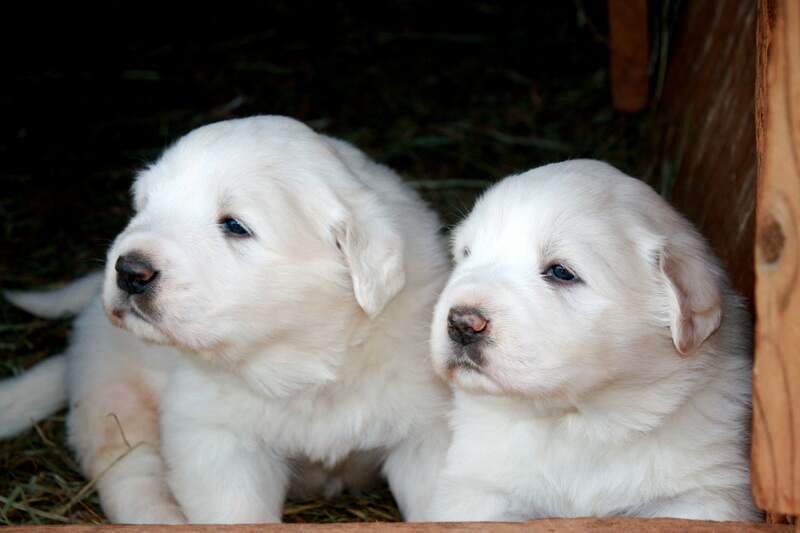 Once every 2 – 3 months to buy a dog can be. Walking for Pyrenees dogs are a mandatory part of existence. They like to run a lot, prefer active games divagation next to the host. 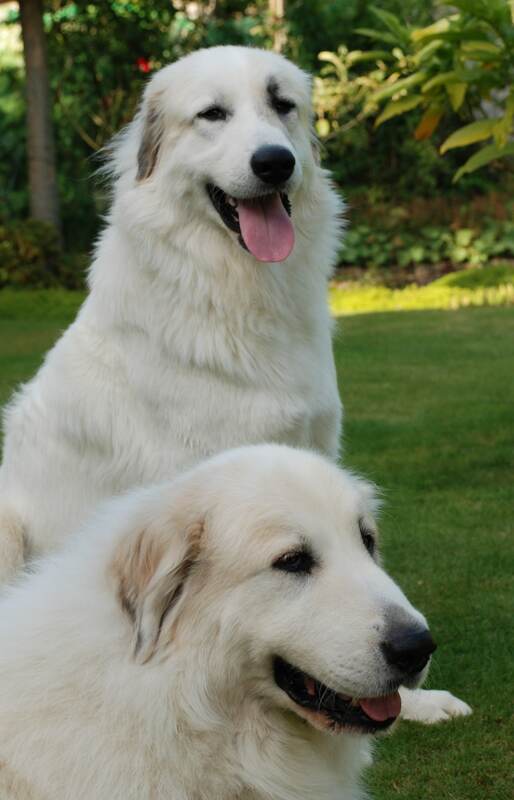 His family Pyrenean mountain dogs love and in any case necessary to protect. They are not averse to frolic with the children, although without adult supervision such fun can result in injury to a child. Pet is not going to hurt his feelings, but to calculate the forces during a game it is not easy, so unintentional sharp jump animal and the child will be knocked to the floor. 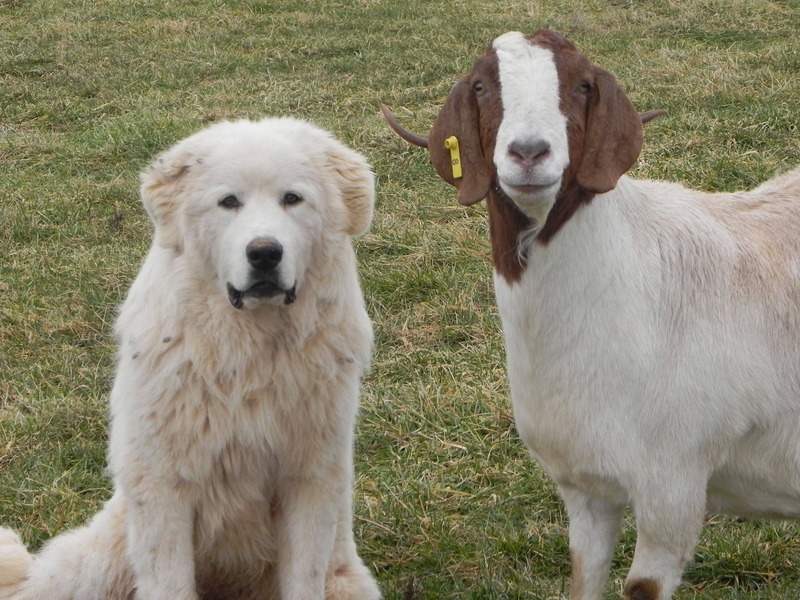 Strangers to the Pyrenees breed dogs with their never will. Even at high early socialization she did not touch them, but the trust does not show. Let them caressed her, she, too, can not. 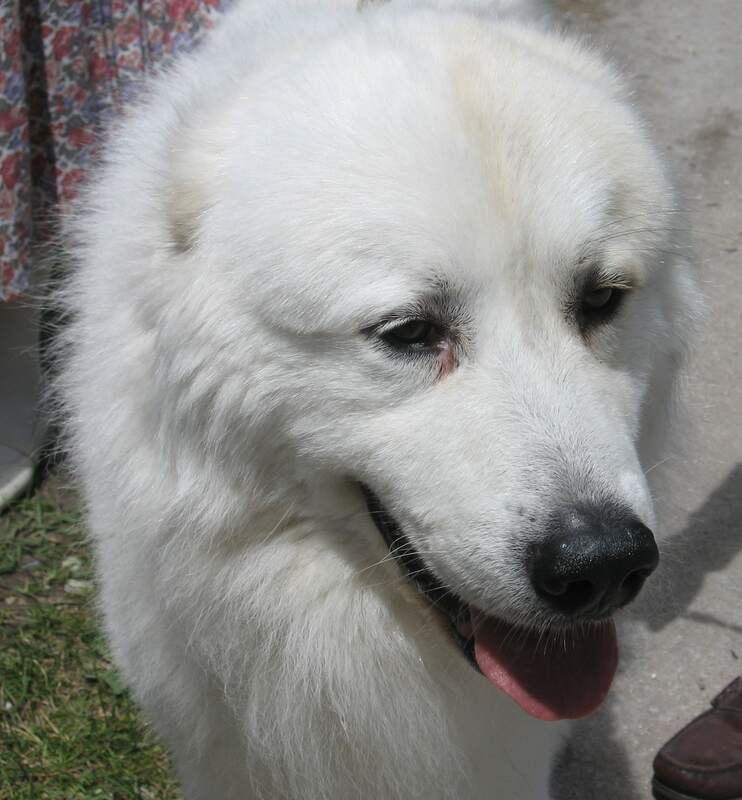 It is not necessary for guests coming to the house, where he lives Pyrenean mountain dog is trying to establish a friendly relationship with. It is to such manifestations of affection are not ready, because the true owners. And yet, the dog should not be aggressive and embittered. If these qualities are, therefore, animal training was conducted properly. Her favorite pet may be a cat. Oddly enough, but the two four-legged pet will always be together. No differences they do not have any game or during a meal. 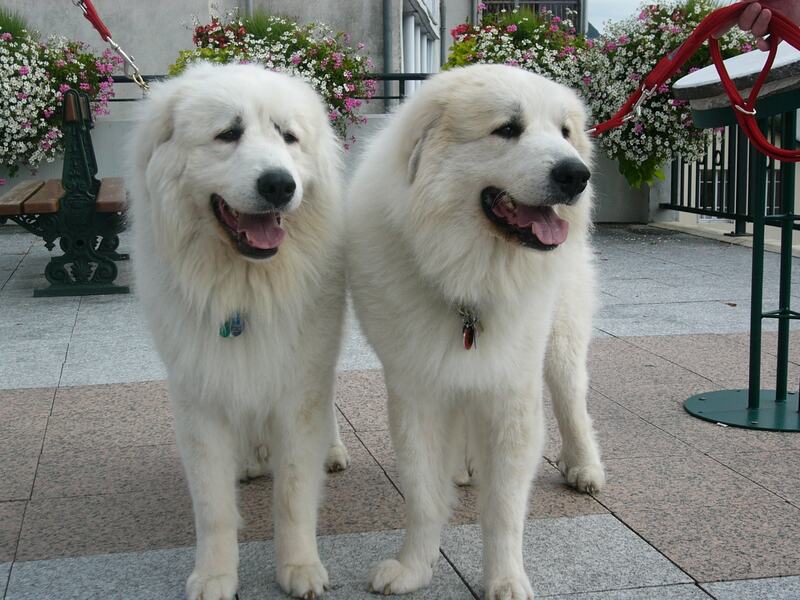 Do you want to have around the house Pyrenean Mastiff? Why buy if you already have experience with such creatures. 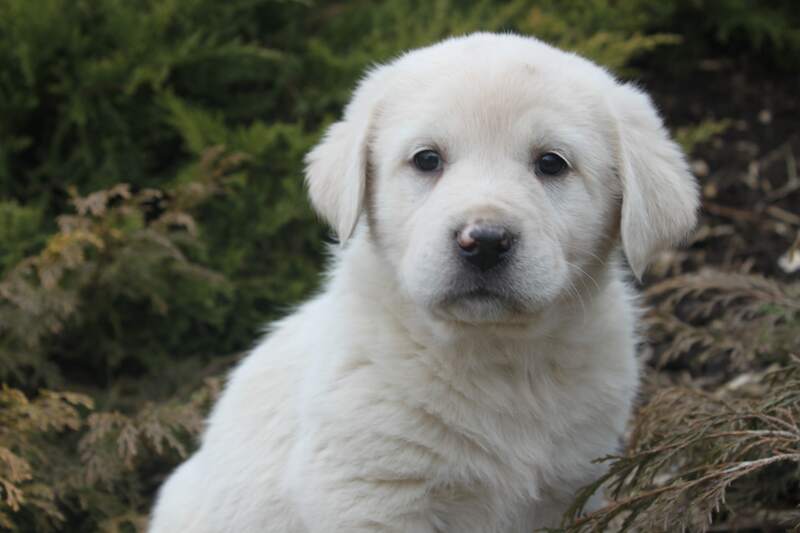 With insufficient experience necessary to detect at least a great desire to study the breed first at the photo and books, and then take a puppy in the house.